Whether its time to hang with the guys or watch Saturday morning cartoons with the kids, this super mod sectional sofa is the perfect place to bring your whole clan together. Loose, fiber-filled back pillows softly cushion your neck and back while Ultra Down seats provide firm support. 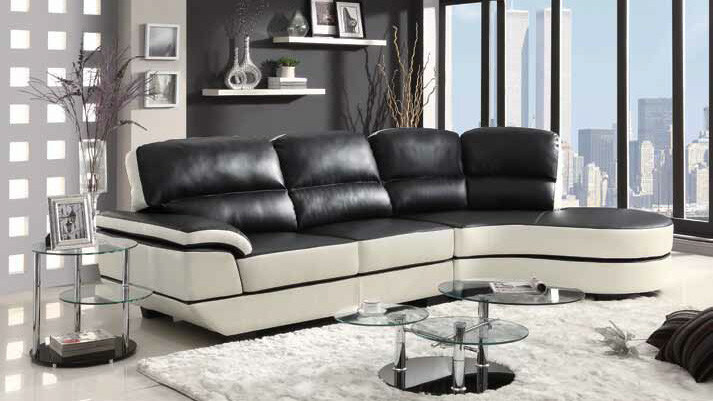 A unique, curved shape complete with rounded bumper chaise and eye-catching black and white upholstery gives your room a hip and upscale look that's impossible to ignore.